Here’s a concept: why not make a game where players control two characters? So far, that’s been done. In LocoCycle, one of those characters is a high-tech military motorcycle being sought by her creators. 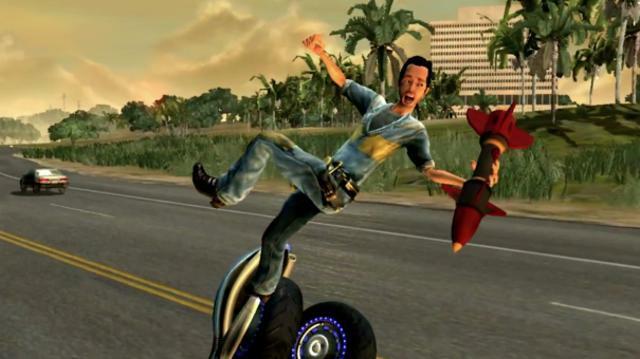 The second character is Pablo, a Mexican mechanic stuck on the side of this motorcycle. The two team up, whether or not both parties are entirely willing, to take down hordes of enemies in suits on their road to collective freedom. This is LocoCycle from Twisted Pixel, the same folks behind The Gunstringer, ‘Splosion Man and The Maw. Twisted Pixel finally got the chance to show us their latest over the top Xbox LIVE Arcade game at PAX East. Here’s some of the gist. The new level being shown at PAX mixes racing with combo-driven fighting as I.S.I.S., that’s the bike, breaks free from her creators. We saw her rage through the desert while being chased by a whole host of bad dudes with machine guns. They came in cars, in helicopters and even jet packs. Twisted Pixel wanted to create a seamless transition between the actions of racing, combat and epic cinematic moments. Unfortunately these transitions often come in the form of quick time events. The game is still in development, but we were treated to a lengthy barrage of QTEs, something I’m personally not a fan of at all. At first glance, Twisted achieves what they’ve set out to do. We followed along easily enough as our guided demo weaved through varied terrain, fought off soldiers with jetpacks and roundhouse kicked a missile back into the face of the unfortunate helicopter operator who fired it. The challenge looks like it comes in mastering the art of chaining attacks together to juggle your opponents long enough to put them down for good and move on to the next baddie. This happens quickly and constantly, so get ready for non-stop combat. LocoCycle has an eerily familiar plot, starting off with a deadly piece of military technology becoming self-aware after being struck by lightning. 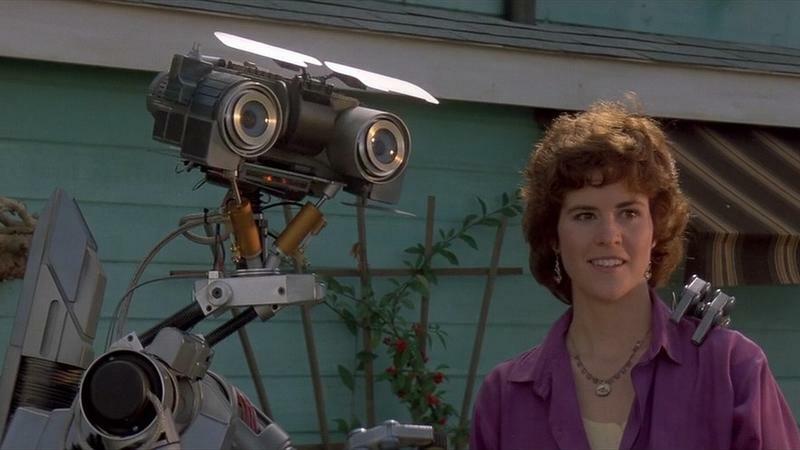 Why yes, that is exactly like the beginning of the classic 1986 movie Short Circuit. Like Johnny #5 before them, the main characters in LocoCycle aren’t content to carry out their original programming as deadly weapons serving the will of the humans who created them. If I hear a voice over scream out “no disassemble!” during a mission, I just might lose it. This theme fits beautifully into the overall style of the game. The art and humor mix beloved titles like Road Rash and Twisted Metal with Twisted Pixel’s undeniable flair. The game stands to be another heart pumping, laughter inducing effort by the creators of ‘Splosion Man and The Gunstringer. As long as they aren’t too heavy-handed with the quick time events, which could easily feel forced and tedious if overdone, expect LocoCycle to win over our hearts and minds when it releases later this year. It’s currently set as an XBLA exclusive.